I managed to catch the Jonathan Furlong exhibition over at the wonderful House of Vans venue, the first time I have been able to get over there since it opened. The Exhibition (for the most part) shows the documentation of the work by Obey/Shepard Fairy but the images stand up in their own right too with large format printing on Fuji metallic paper looking pretty good. 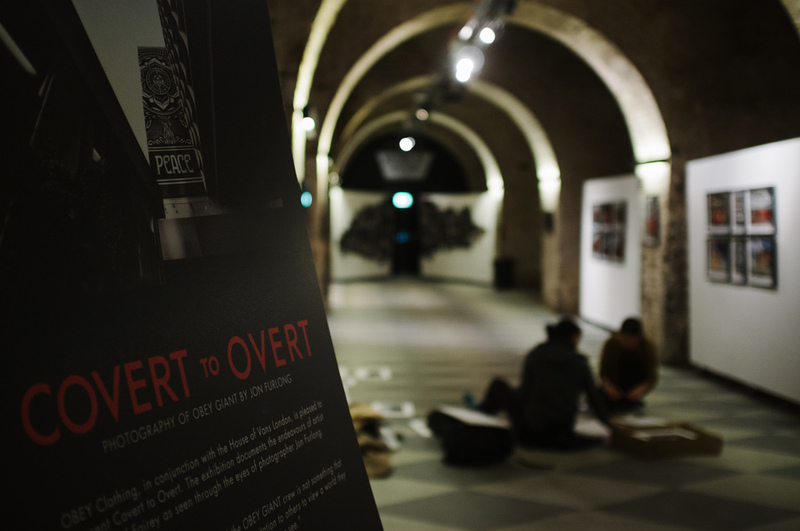 Just a shame the exhibition didn't have a programme to accompany it or even an OBEY sticker set for propaganda purposes!